Looking back on my naïveté fondly. Oh hello there! Forgive me; I didn’t see you there at first. Come, sit and have some imaginary hot cocoa with me. I am just reflecting on how very bloggy I have been the past couple of months, and what I can do to improve upon myself. Now I have posted my fair share of film reviews and I’d like to think I’ve accurately expressed my opinion on those films in 500 or so words. But looking back on the more recent reviews I have found myself a little perturbed with my rating system of A+, A, A- etc. It’s a perfectly fine system that the wonderful writers at Entertainment Weekly use, but I find it to be somewhat of a crutch personally. Sure, Moonrise Kingdom and The Dark Knight Rises were both films that deserved the A rating, but they aren’t necessarily film equals. I am announcing that from now on I shall be adopting the timeless 5-star system (I know, I probably just made you spit out your drink and cause a scene at your office, home or underground Y2K bunker; I apologize.) Yes my friends, stars: those twinkling gas balls that godless pagans and Disney characters wish on for their hearts desires, the paragons of perfection that Inspector Javert aspires to and those objects that when flipped upside down can be associated with everyone’s favorite fallen angel, Lucifer. So I am counting on you, my faithful avid readers, to feel the weight that each of these stars (and maybe sometimes half stars!) conveys. Experience the joy when a film you enjoyed attains that precious 5-star-rating and the “oh-so-close” feeling of the half star that just misses the mark. Alright, I will leave you now. I’ve just unloaded a lot of information and I don’t want to overwhelm you, I mean the week’s not over yet amiright? Oh boy. This one hurts like you wouldn’t believe. Grant Morrison, the Glasgow-born supernatural psychedelic comics scribe who has been working on his Batman epic since 2006 and more recently re-launched Superman’s early days in Action Comics, has decided to end his relationships with The Man of Steel and the Caped Crusader to work on more creator-owned material. As detailed in an interview with Comic Book Resources, Morrison is ending his run with Batman Incorporated at #12 and Action Comics with #16. 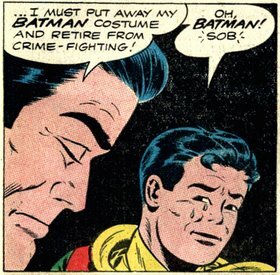 All good things must come to an end, and I knew that Morrison would part ways with Bruce Wayne someday. Grant Morrison gave the grim and gritty Dark Knight a breath of fresh air that incorporated the silly and more outlandish elements of the Silver Age of comic books. A story arc that grew beyond its initial premise and spanned multiple titles, Morrison’s Batman tale introduced the Son of the Batman, the death and return of Bruce Wayne and a Joker who for all intents and purposes encapsulates the insane character’s entire publishing history. Morrison took a mythic character that I loved and made his perceived weaknesses (camp and light-heartedness) into unexpected strengths. It’s a real masterpiece and I will miss his world of Batman when he leaves. Morrison leaving Action Comics will be a loss for DC Comics as well. The book is far from perfect, but it has been the best attempt to make Superman relevant in the company’s relaunch “The New 52.” Without Morrison at the helm, I fear that The Man of Tomorrow will once again become The Man of Yesterday; and the greater DC Universe will suffer for it. Grant Morrison is crazy person, make no mistake. With a regular regiment of drug use and alleged abduction by aliens, he is coo coo for cocoa puffs in a major way. Even so, the guy is kind of a genius when it comes to his work. He isn’t retiring from comic books completely, and admitted that he may come back to the superhero books someday. Beyond his great work on superheroes like Animal Man, X-Men, Batman and Superman he does have a pretty great collection of non-superhero work with great books like Seaguy, The Invisibles and Flex Mentallo: Man of Muscle Mystery. His bestseller semi-autobiography Supergods is also a fascinating insight into his marvelous mind and his view on the men in tights. So if you’d like to have your mind blown by one of those silly comic books that your favorite summer movies are inspired by, I suggest picking up anything by Grant Morrison. And so Christopher Nolan’s Batman saga comes to a close. Batman Begins was the birth of a legend, The Dark Knight was the escalation of evil and The Dark Knight Rises is the grand finale that brings everything full circle. I think that is an essential quality of the film to keep in mind: it is a finale; it’s not just a sequel, it is Christopher Nolan’s final word on a character that he has explored for nearly a decade. I am going to leave the plot summary intentionally brief and vague to avoid any potential spoilers. After the events of The Dark Knight, Batman has been out of the game for eight years and Bruce Wayne has become a shut-in. After years of relatively low crime in Gotham thanks to legislation known as “The Harvey Dent Act,” a new villain has come to the city with a mysterious agenda of his own: Bane. As a result of a confrontation with Bane, Commissioner Gordon is seriously wounded, which leads Mr. Wayne to rethink his retirement. What follows is a brutal battle between The Dark Knight and Bane, giving way to a shocking turn of events in Gotham that makes The Joker’s plan look like a cake-walk. The effects of Bane’s full-out-assault on Gotham are felt not only by Batman and his allies, but the entirety of the city as well. The only way to truly combat these attacks is for a united front inspired by the symbol of Batman in a rebellion-fueled war on Bane and his legions. The nature of traditional storytelling in film, especially superhero films has become commonplace. This is by no means a bad thing; it is a form of comfort in a way – the clear path that is laid out for a protagonist, and what he/she must do to reach their goals. What threw me off at nearly every turn was how The Dark Knight Rises acted against those conventions in a way that made you uncertain for what was going to happen next. Even when I had my mind dead-set on how certain plot points were going to play out, various twists and turns had me doubting myself and ended up shocking me – Christopher Nolan incepted me dammit! I really think that Nolan intended this uncomfortable uncertainty, a theme represented in the character of Bane, played ferociously by Tom Hardy. The jarring nature of his peculiar voice and face mask combined with his brute strength left me completely intrigued. (And the critics who say “he’s no Joker” probably make similarly stupid complaints about burgers not being on the menu at P.F. Chang’s.) Anne Hathaway was brilliant as Selina Kyle (they never actually refer to her as Catwoman.) She had a magnificent ability to switch from faux damsel to vindictive femme-fatale in a heartbeat. And of course there is our hero, our Dark Knight: Christian Bale, the truest representation of Bruce Wayne/Batman on screen to date. As an actor, he goes through almost as much hell as Bruce Wayne does in the film, adding yet another notch on his career belt of physical torment. There is a lot to digest in this film, and may require a second viewing. The Dark Knight Rises brings characters, plots and themes from the entire Dark Knight trilogy to a close in a beautiful, respectful fashion without sacrificing the individual film’s own intense narrative. 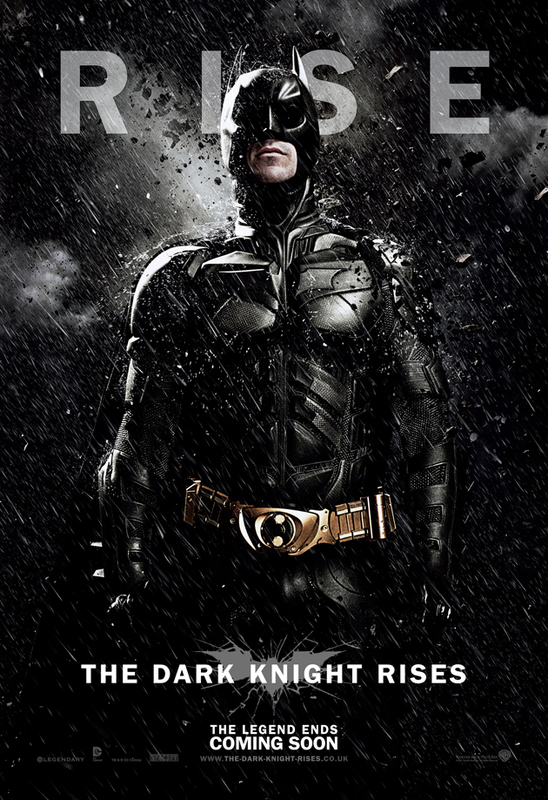 The tagline of the film is “The Legend Ends,” but The Dark Knight Rises cements Batman’s permanent place in our society. As the man said in Batman Begins: “As a man, I’m flesh and blood. I can be ignored, I can be destroyed. But as a symbol — as a symbol I can be incorruptible, I can be everlasting.” The Dark Knight is dead. Long live The Dark Knight. Damn you, you smug 21st Century representation of America. And so Emmy season is upon us. I’m not going to go through each nomination in detail or even list the nominations. Because let’s face it, you don’t visit this blog for news; you visit it because you’re afraid that I won’t be your friend anymore (and rightly so!) 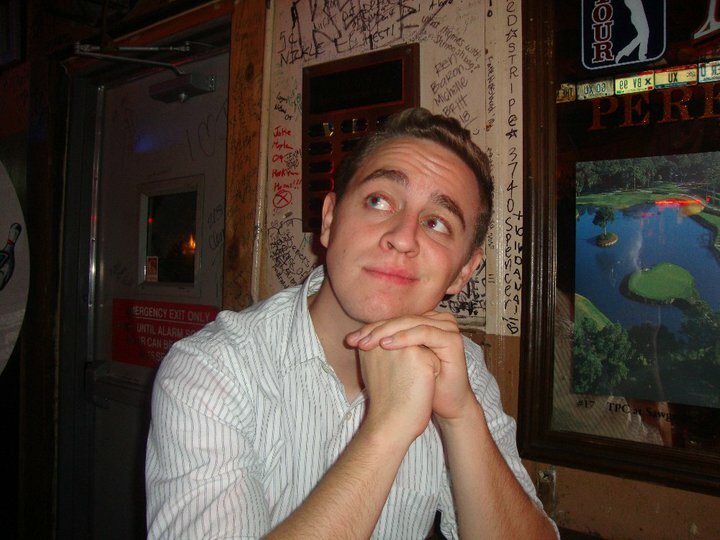 So if you want to see a full list of the nominees, I shall refer you to The Gold Knight, a site by newsman James Molnar. No, this post shall be yet another segment in my ongoing series: Cormac Complaining. So buckle up as I get the sand out. Following award shows is an interesting phenomenon; they are spectacles that take hours upon hours and are for the most part an exorbitant amount of famous and wealthy people patting each other on the back for being so famous and wealthy. For avid viewers, these extravaganzas lead to no real personal success or failure (unless you really wanted to get something done on a Sunday night.) That withstanding, it is somewhat rewarding to see a TV show or film that you value be rewarded for its efforts. I would try to make a sports analogy but I’m afraid that one of my readers might pop out from my computer screen and throw me in a locker; so I shan’t even try! Before I go off on a tangent about Community, I will say that the Academy hit the nail on the head with its choices in the drama category; it’s hard not to. TV drama is pretty well-stacked these days; there are better dramas on TV than there are in movie theaters. Boardwalk Empire, Breaking Bad, Homeland and Mad Men are freaking amazing, and I know plenty of people who are obsessed with Game of Thrones and Downton Abbey. Though cable is King of drama, network television still seems to be the favored candidate in comedy election; at least the popular vote. Like I said earlier, as a viewer you want to see your favorite shows get recognized. I do not watch The Big Bang Theory, Curb Your Enthusiasm, Girls, 30 Rock or Veep; so I can’t really pass fair judgment on their nominations. What I can say is that two NBC shows that certainly deserve more recognition are Community and Parks and Recreation. Amy Poehler has been rightfully nominated, but where is the rest of the supporting cast? What started off as an imitation of The Office has turned into a brilliant show that consistently brings the funny without sacrificing its heart in a way that never seems corny (I’m looking at you Modern Family!) And I am in love with Community so much that I won’t bore you with my adoration. The bottom line is that Community, especially its past season, has been a very successful science experiment in pushing the boundaries in a sitcom. I guess I’ll have to be satisfied that it got a nomination for writing. I think my biggest issue is with Modern Family. It was a welcome change of pace three years ago, but in the past year has become common place; like it lost its backbone. The writing feels like it’s on autopilot, and even recycled a major recurring skit from Saturday Night Live. But Modern Family will probably win it all. Again. Whatever, I’m over it. Thanks for listening, I’ll continue this conversation with my therapist. So here we are, two days before the premiere of The Dark Knight Rises. 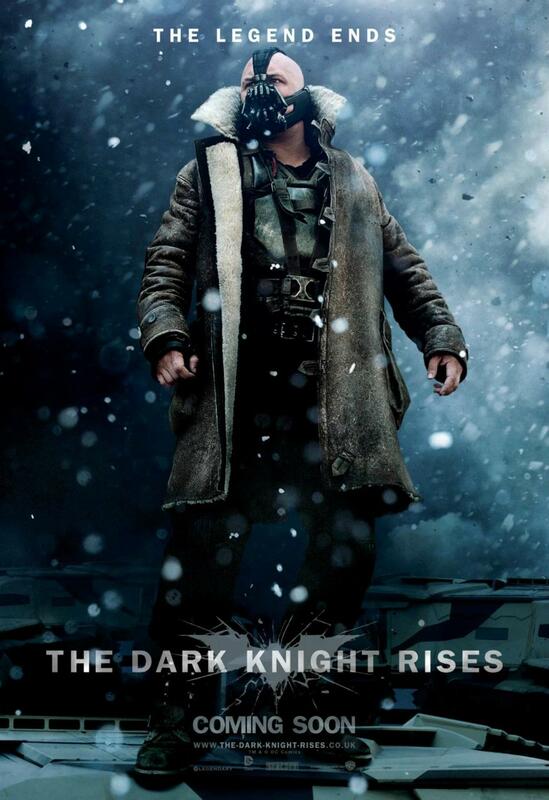 The film is even more-hyped and more anticipated than The Dark Knight. Expectations are high, and fanboys are attacking any early negative review of the film. Regardless of all of that, I am looking forward to it. We live in a world of remakes and reboots; and as I mentioned in my review of The Amazing Spider-Man, I’m ok with that. Different takes on characters can be refreshing if done right. If it weren’t for the abysmal failure of Batman & Robin, Warner Brothers might never have given Christopher Nolan a chance to tell his story. With that in mind, I am confident that he will bring his tale of the Dark Knight Detective full circle and give it a very unified feel. Undoubtedly Warner Brothers will make another Batman movie someday. Nolan is aware of this, and I believe he will do what no one has done before: Kill Batman. I love Batman, I love everything about him. But I think that his death is the only logical conclusion to this very serious take on a man who only wants to do good, but in turn inspires so much chaos and turmoil. I’m going to see The Dark Knight Rises at midnight. I don’t care if it’s “better” or “worse” than its preceding films. This film is the end of an era; a farewell letter to a man, a myth and a city. I want to thank Christopher Nolan and Christian Bale for making Batman cool again for people who don’t go to comic shops. I also want to thank Joel Schumacher for destroying Batman so he could be resurrected in a more perfect form. I wonder, what will my one word review for The Dark Knight Rises be? TO BE CONTINUED !